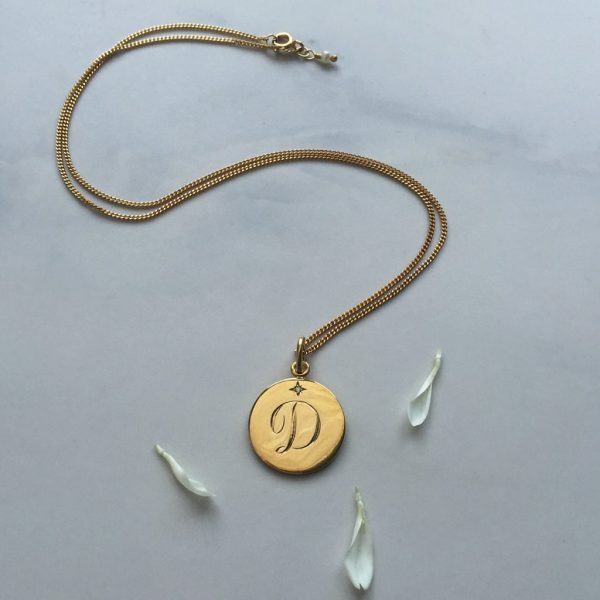 Our Diamond Initial Necklace is inspired by traditional Victorian love tokens. 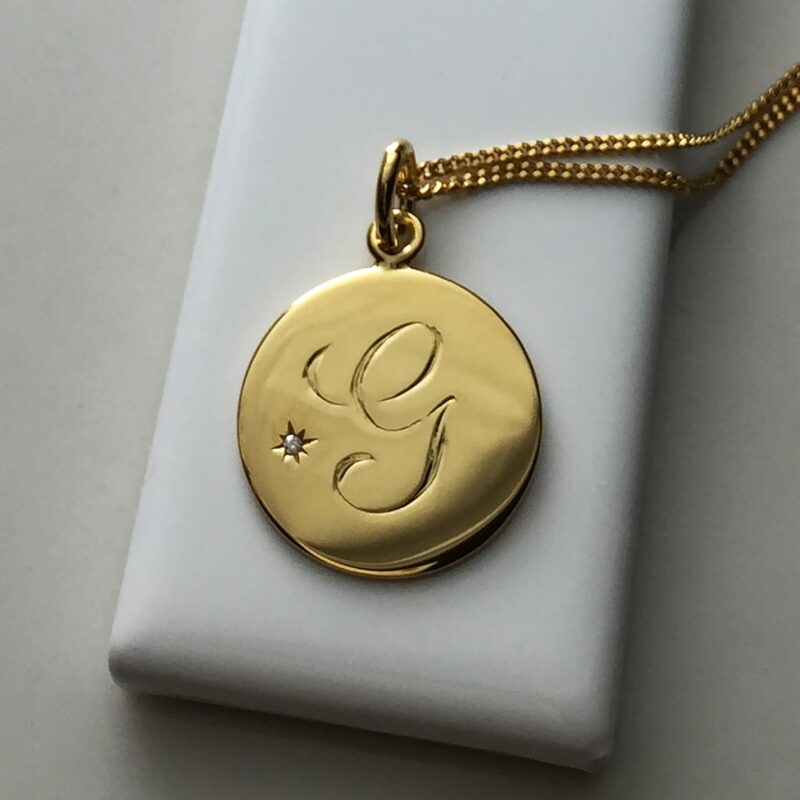 Hand engraved with a scrolled initial with a brilliant-cut sparkly Diamond in a Victoriana star style setting. 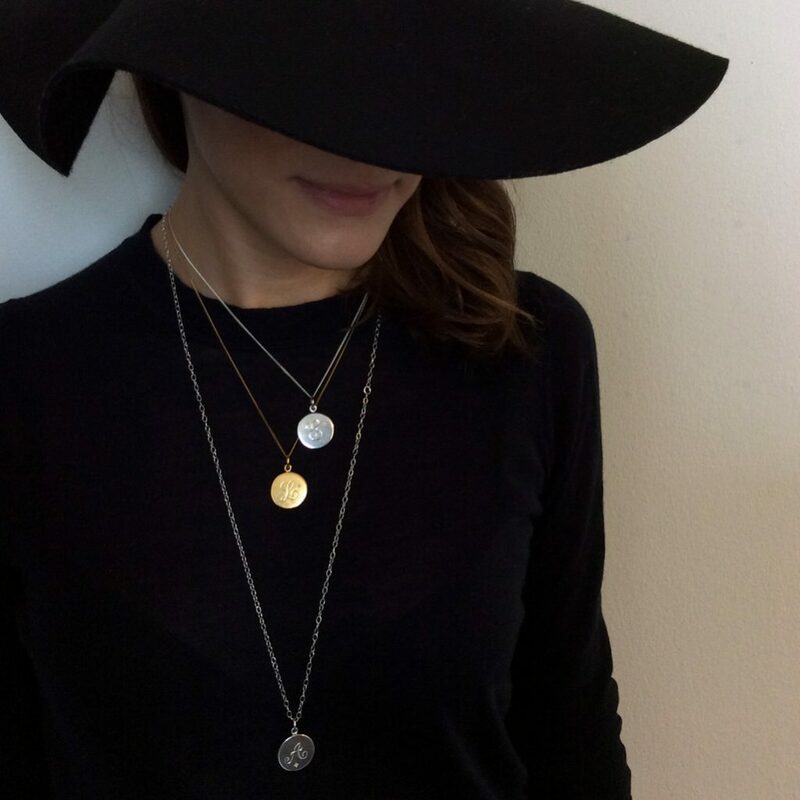 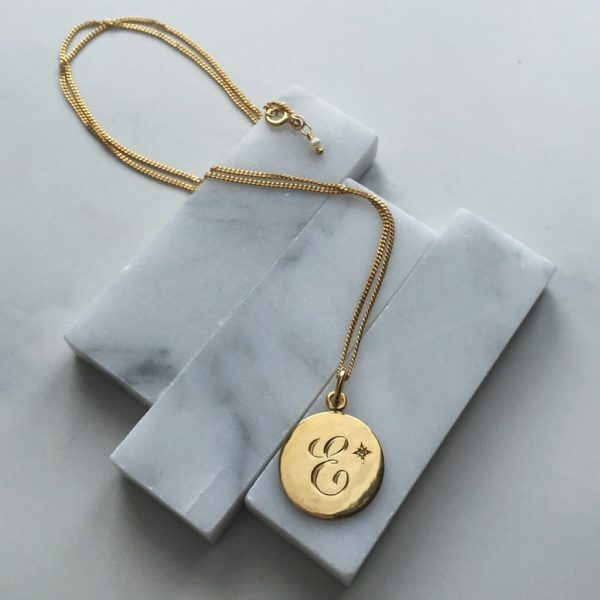 Layer up with the initials of those close to your heart. 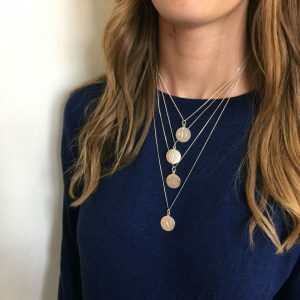 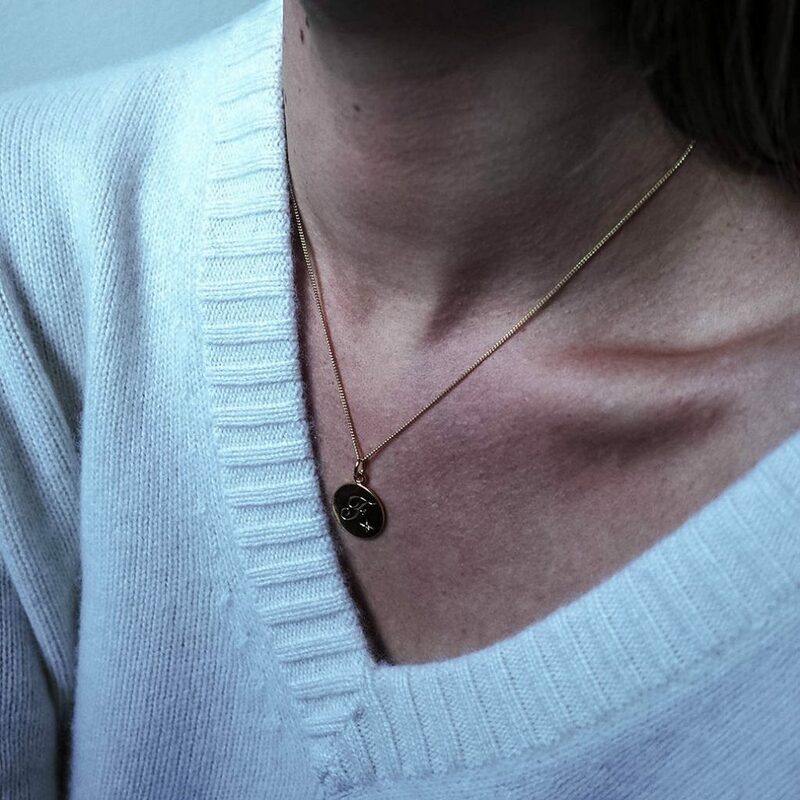 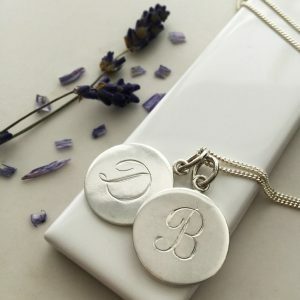 Choose an initial to be hand engraved on the disc so that the wearer can carry the memento around their neck, close to their heart. 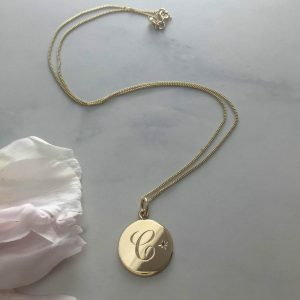 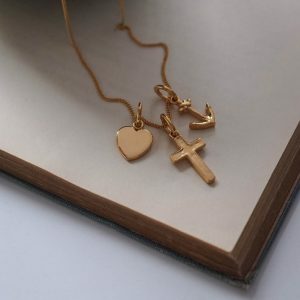 The letter could be the recipient’s initial, their childs’, best friend, your very own initial or just someone who bears great importance in their life so they can be reminded of them as they wear and treasure the Diamond Initial Necklace. 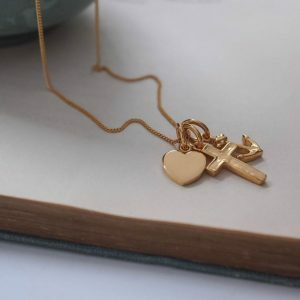 This piece is embellished by the precious diamond, also known as a “Stone of Invincibility,” bringing victory, superior strength, fortitude and courage to its wearer. 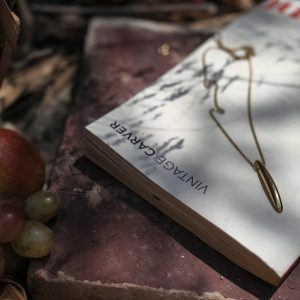 Ancient theories touting the magical powers of Diamonds were prevalent: some thought lightning bolts formed diamonds, while other theories asserted that Diamonds were the tears of god. A stone symbolic of eternal love, the Diamond Initial Necklace is perfect for that all-important girl in your life. 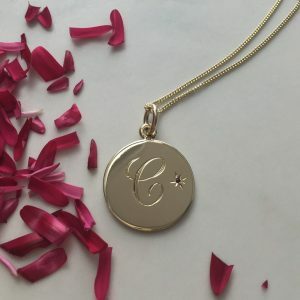 This personalised Diamond Initial Necklace makes for the perfect gift for the most special lady in your life, who deserves nothing but the best. 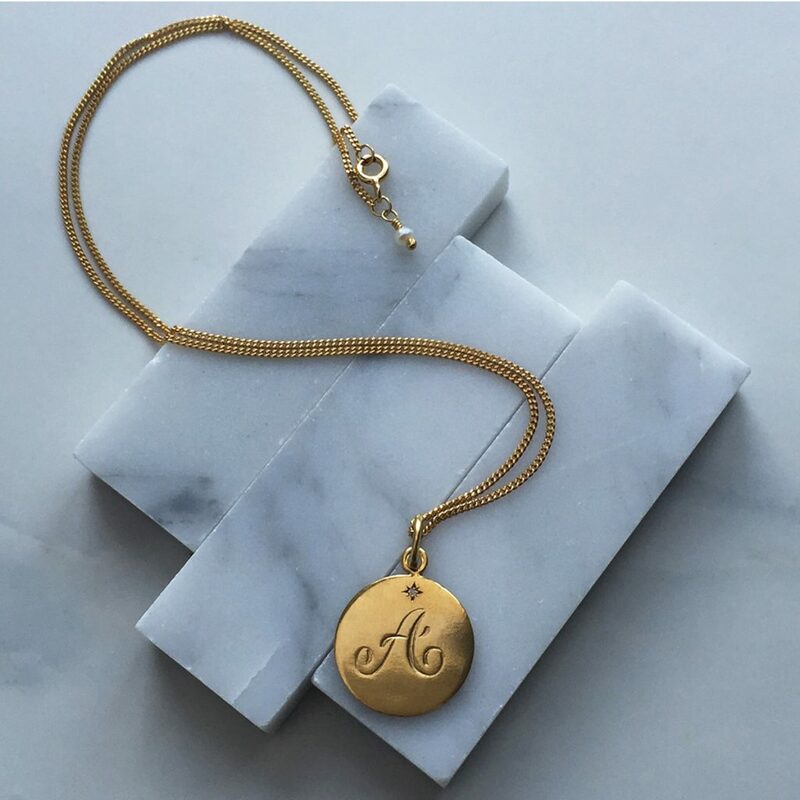 Make the piece of jewellery that extra bit special with this personalised piece, to give a gift of meaning and great thoughtfulness. 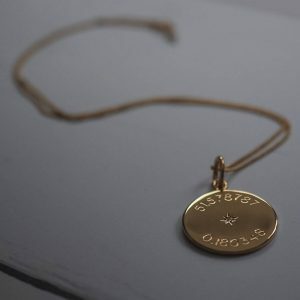 Show her just how much you appreciate her. 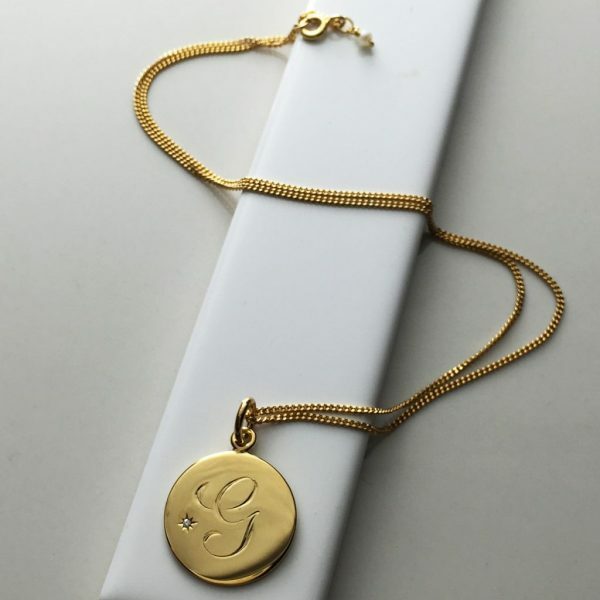 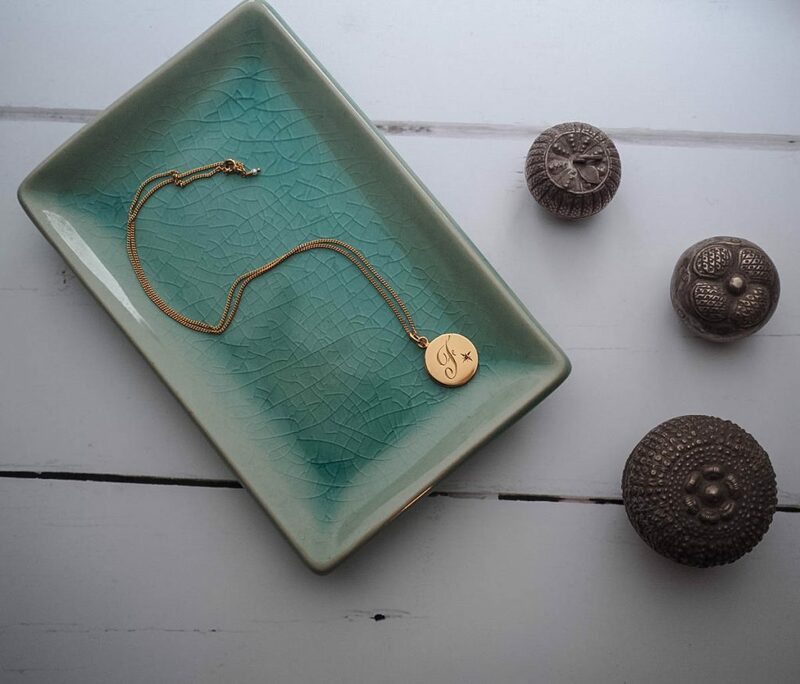 Read more about the personalisation of our jewellery on our blog. Your Diamond Initial Necklace is hand-made with love and care in London. 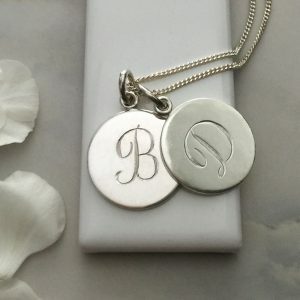 Diamond Initial Disc measures approximately 1.8cm by 1.8cm. 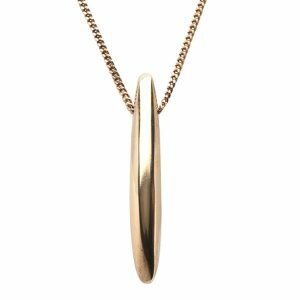 With a weighty depth of 1.3mm. 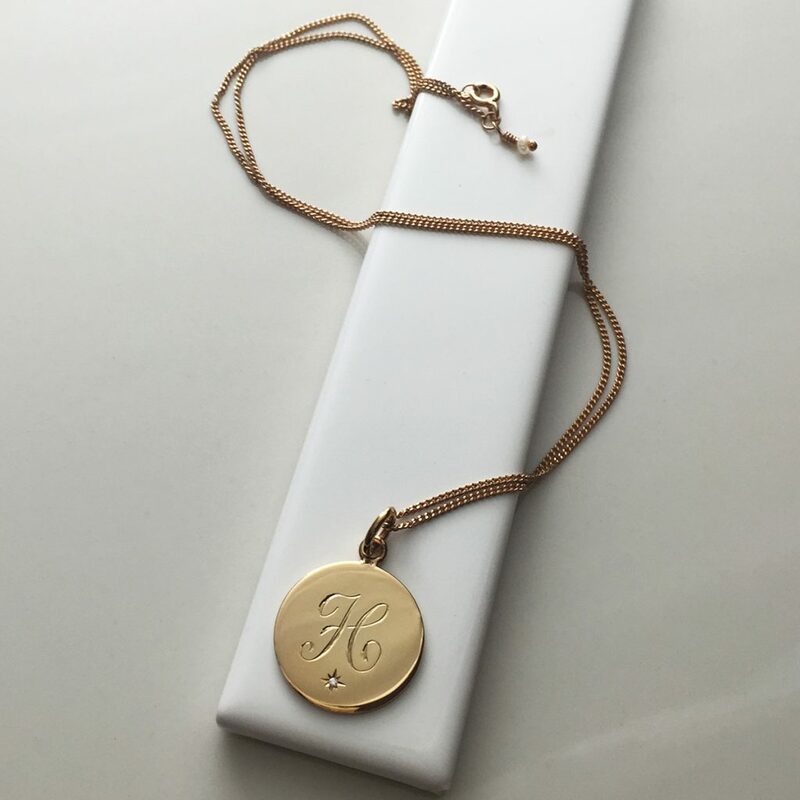 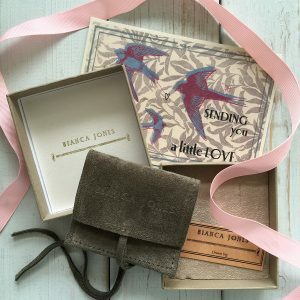 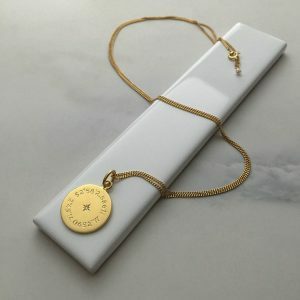 We love gift giving – please view the packaging tab above for more on how we will package your Diamond Initial Necklace. Read what Red Magazine has to say about our Diamond Initial Necklaces here.